In addition to unclogging your toilet using common household items, you can also clean and disinfect your toilet for cheap without ever having to use expensive and chemically-toxic toilet cleaners ever again. To prevent toilet rings from ever forming in your toilet bowl, periodically add a cup or two of distilled white vinegar into the bowl, let it sit for a few hours, and then flush. To remove stubborn toilet rings after they've already formed, try a more potent method by adding baking soda to the vinegar in the toilet bowl and scrub with a toilet brush before flushing. 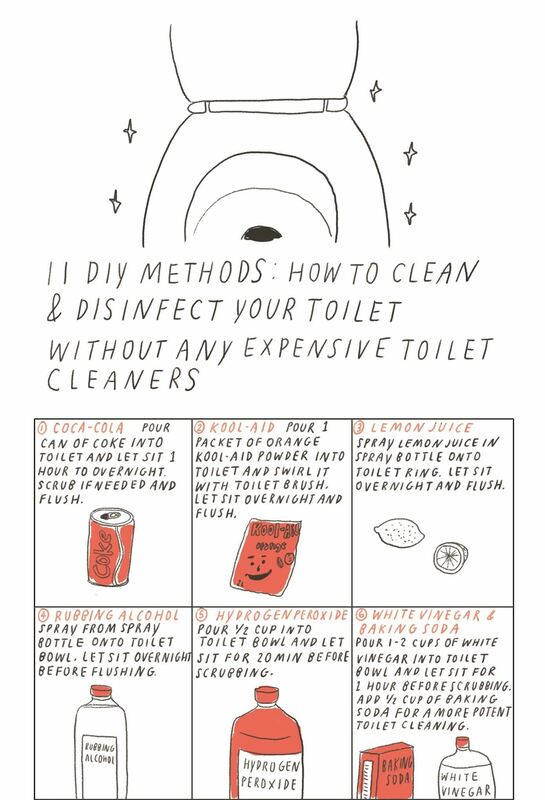 Other cheap methods for cleaning your toilet include a can of Coke, Kool-Aid powder, rubbing alcohol, borax, and more. 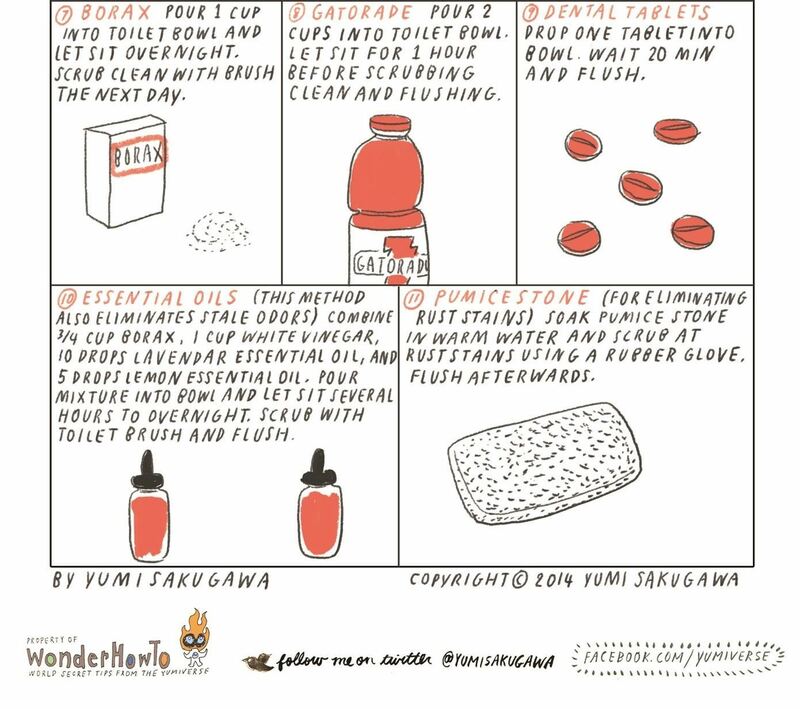 To get rid of a rust stain, use a pumice stone. Be sure to thoroughly soak the pumice stone in warm water before using so that the pumice doesn't scratch the porcelain surface.